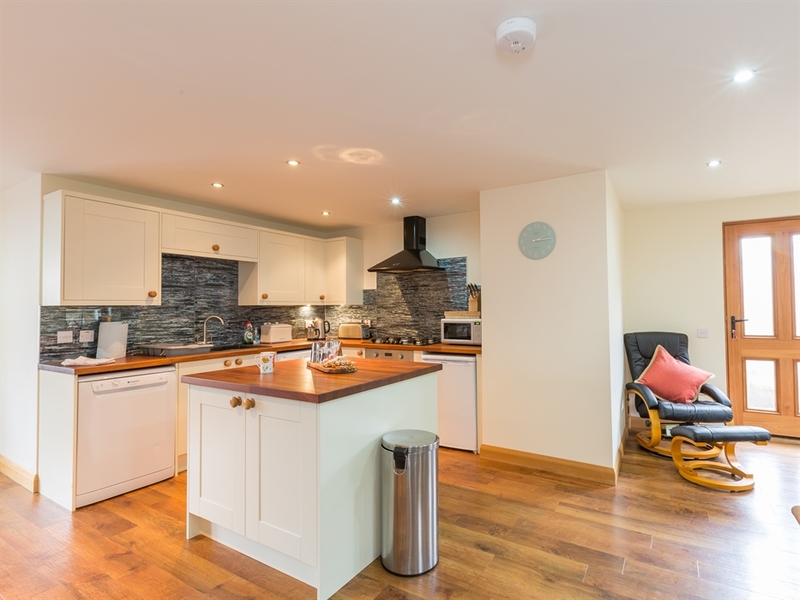 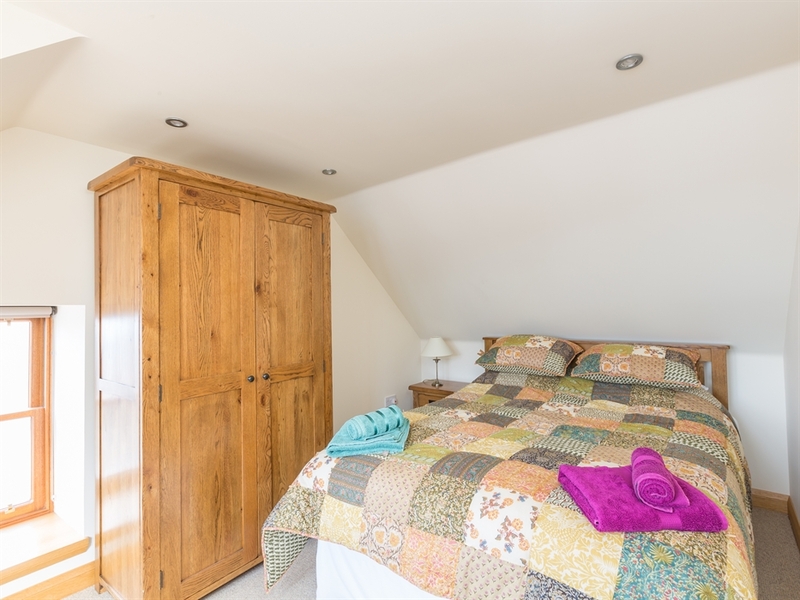 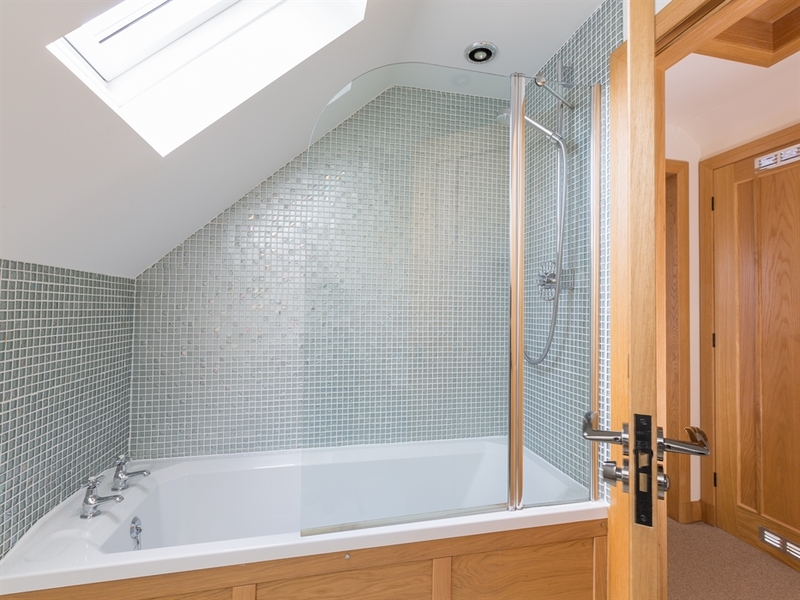 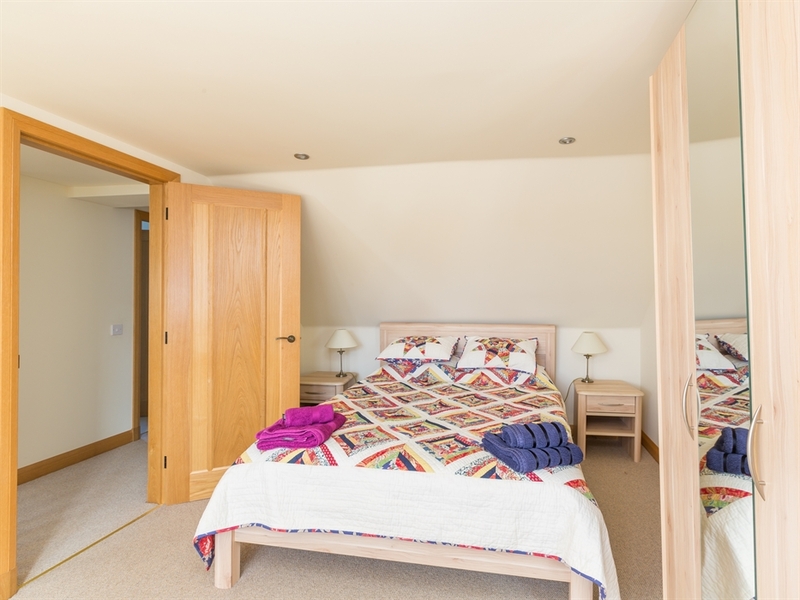 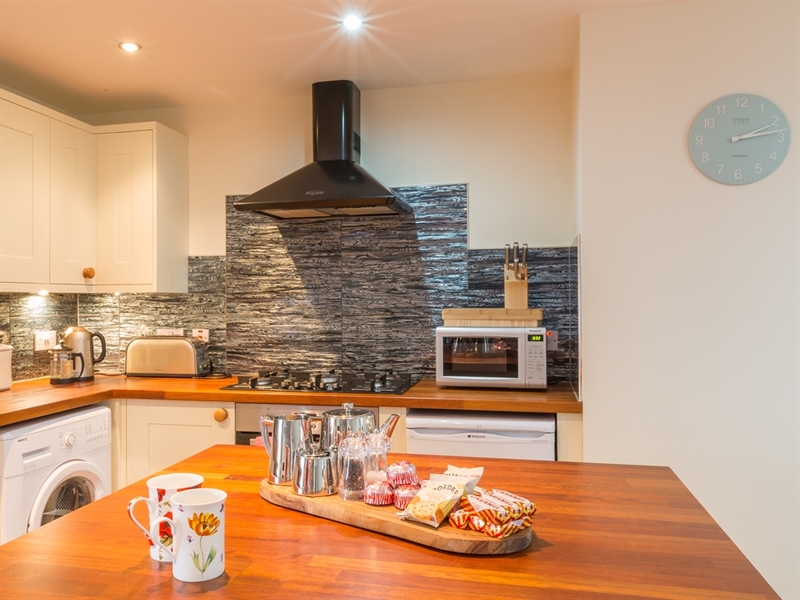 This former fishing cottage has been the subject of a stunning architect designed renovation and extension and now provides sunny, bright and extremely comfortable and high specification accommodation for up to 6 people. 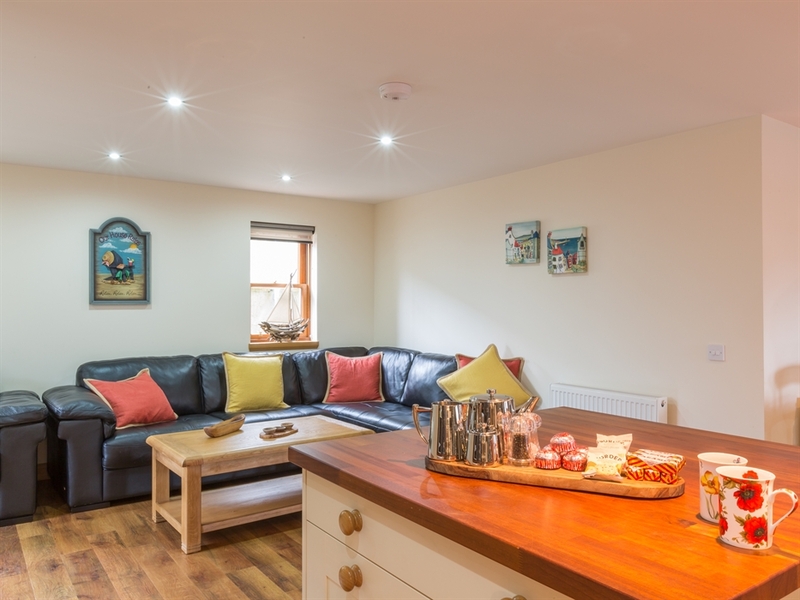 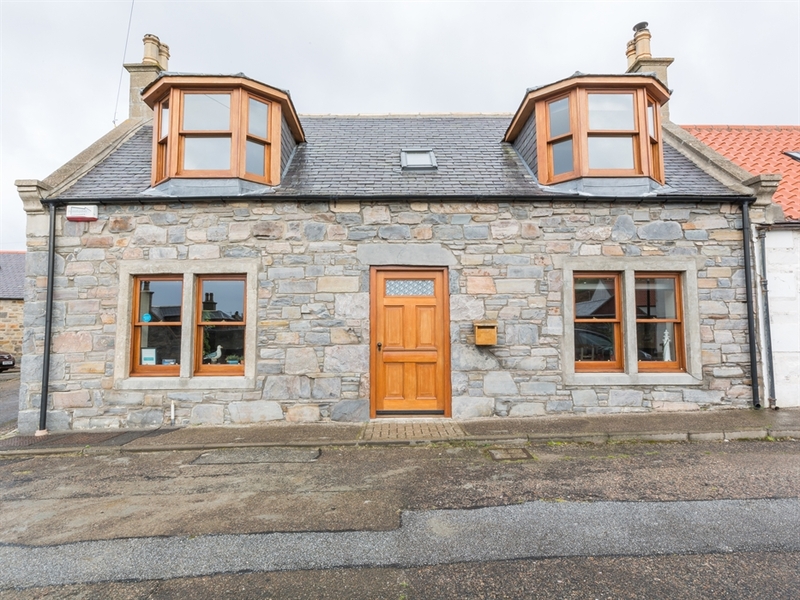 Situated in the beautiful village of Cullen on the Banffshire coast, Rosebank Cottage is the perfect retreat for families who are looking for a Scottish seaside holiday. 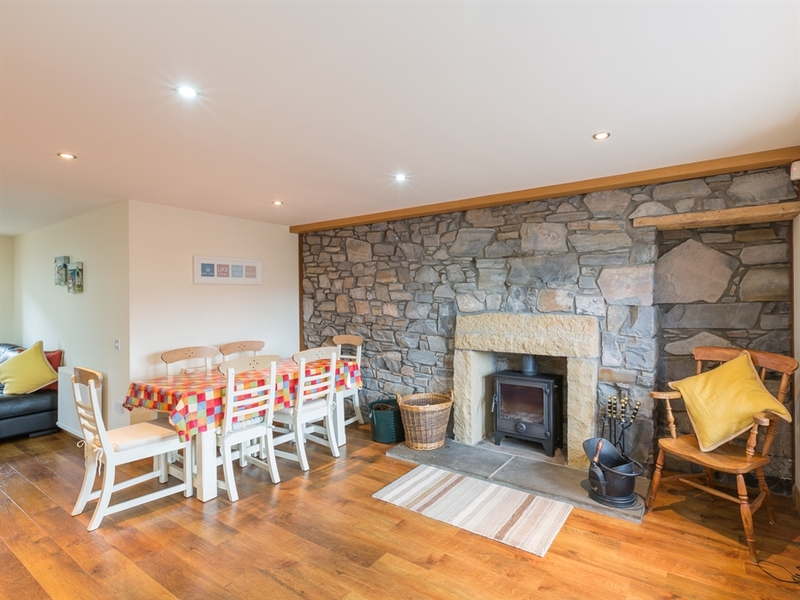 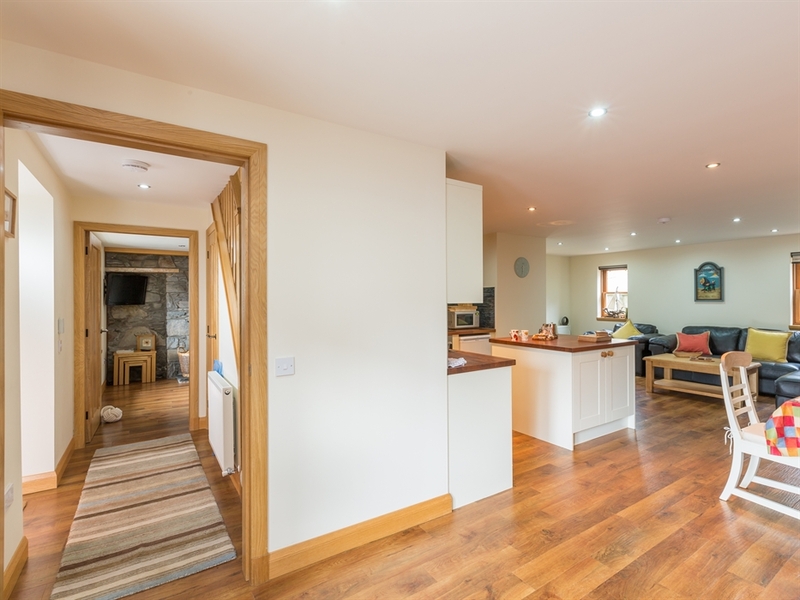 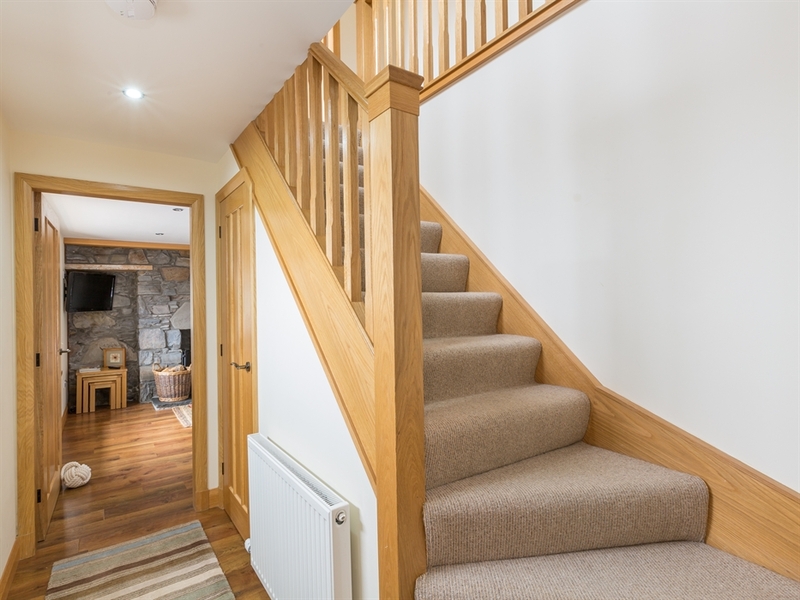 The former fisherman’s cottage has been lovingly restored, combining modern fittings and furniture with old stone walls. 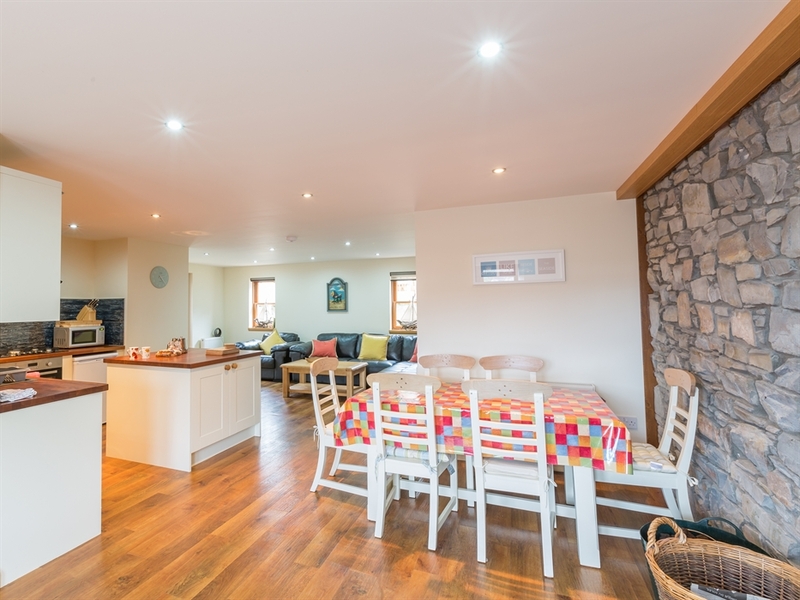 The open planned kitchen/dining room is a great social area for the whole family to enjoy, and the woodburning stove makes it even cosier in the evenings whilst you have sat down to enjoy your meal. 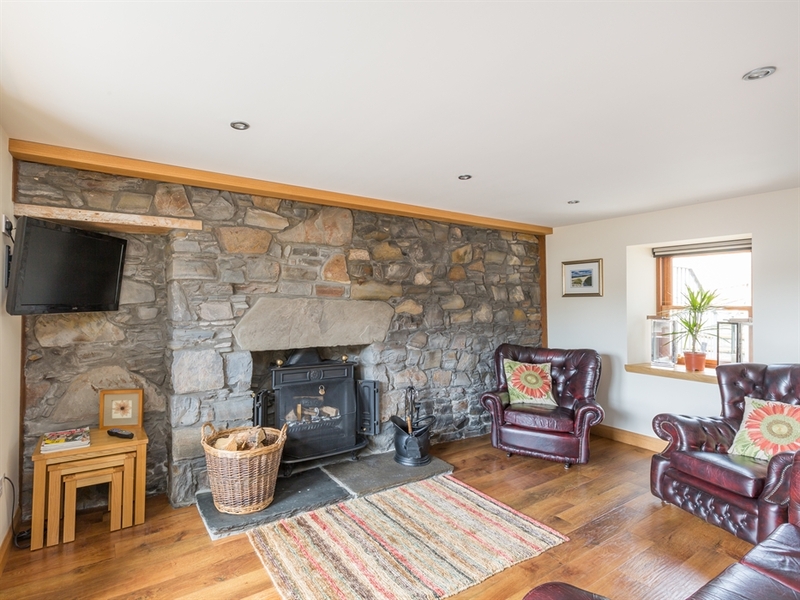 The comfortable sitting room is equally cosy and also contains a log burner, so put your feet up and relax after your busy day of exploring. 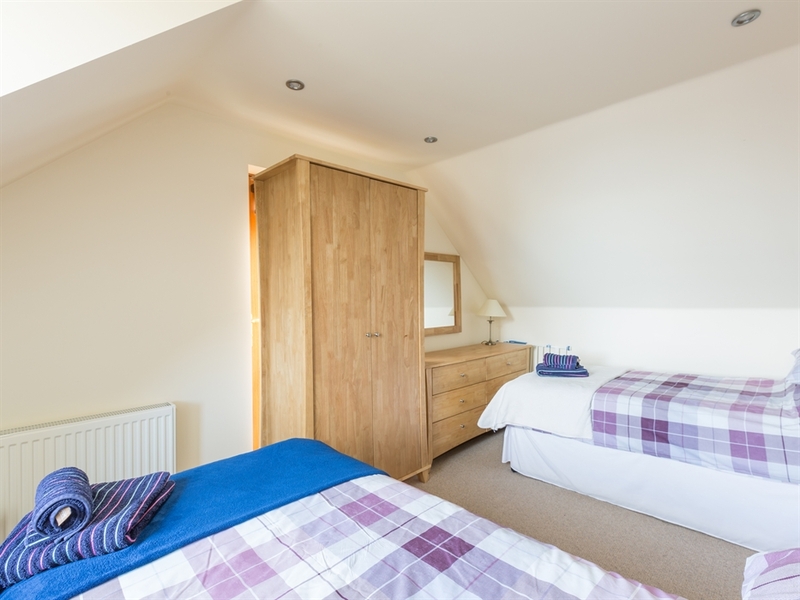 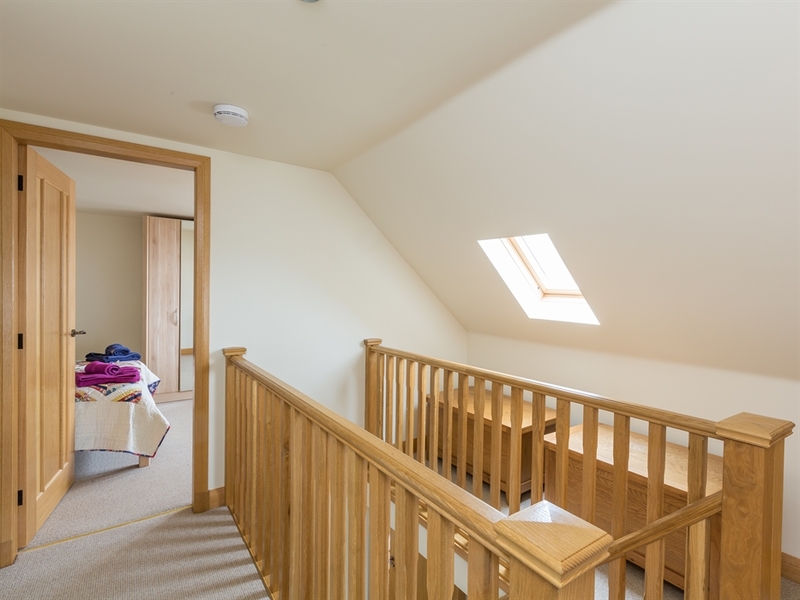 Each of the bedrooms has views of the sea, and with the harbour just a minute’s walk away from the cottage, you can be down building sandcastles with the kids in no time! 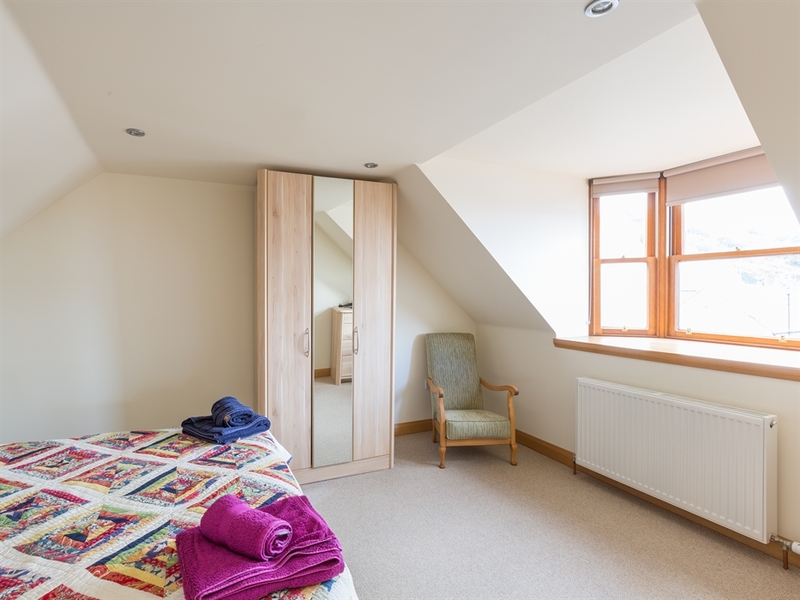 Everyone will appreciate the beautiful sea views and tranquillity of the area. 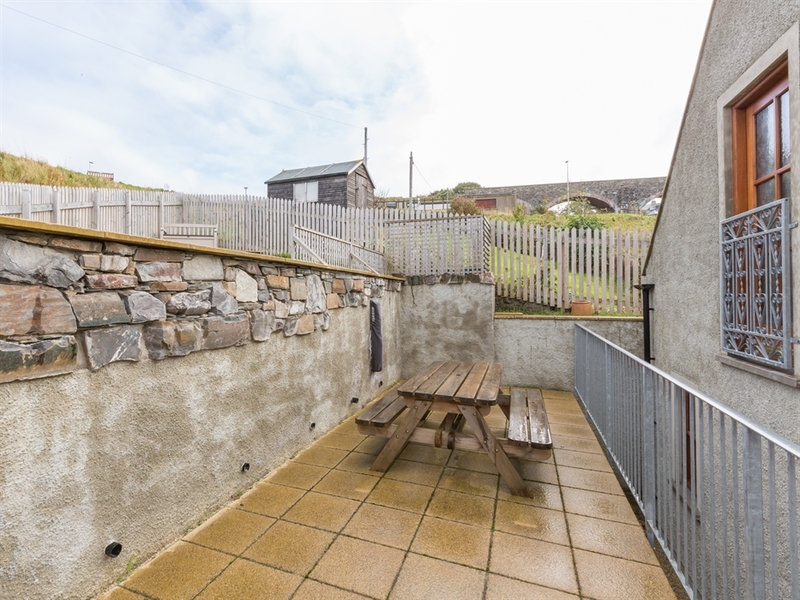 During the warmer weather, the rear patio is a real sun trap, and an ideal place for a barbeque or pre-dinner drink. 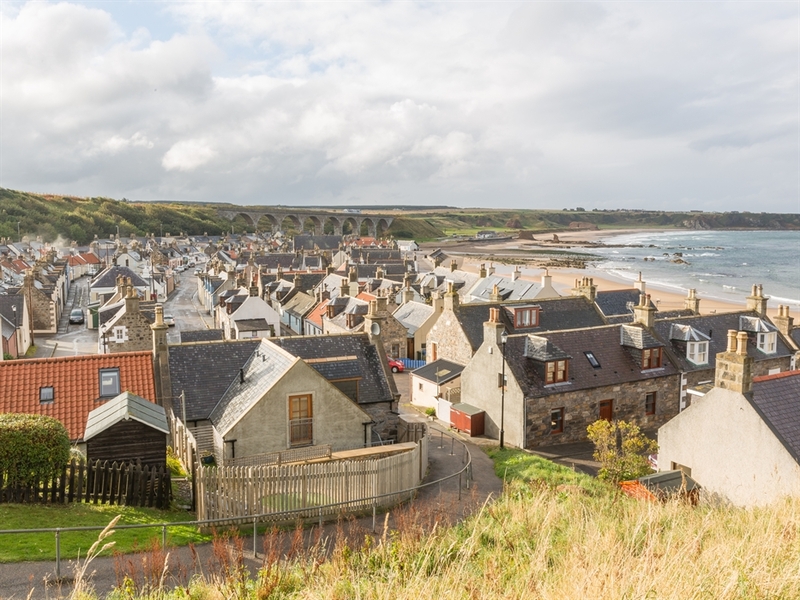 Cullen is a pretty, picturesque village situated on Scotland’s ‘dolphin coast’, with an abundance of activities for everyone to enjoy. 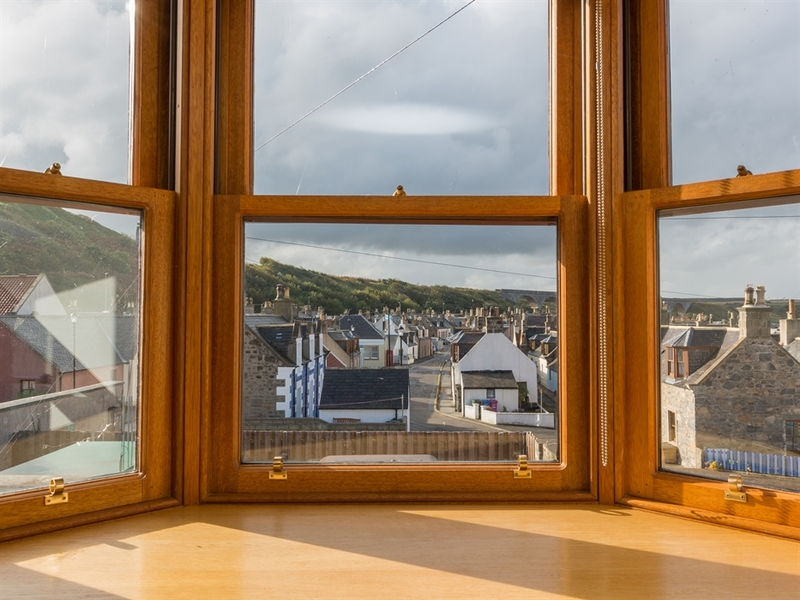 The Moray Firth is famous for its dolphins, and they can be seen regularly either from land or by taking one of the many boat trips, where other wildlife can also be easily spotted. 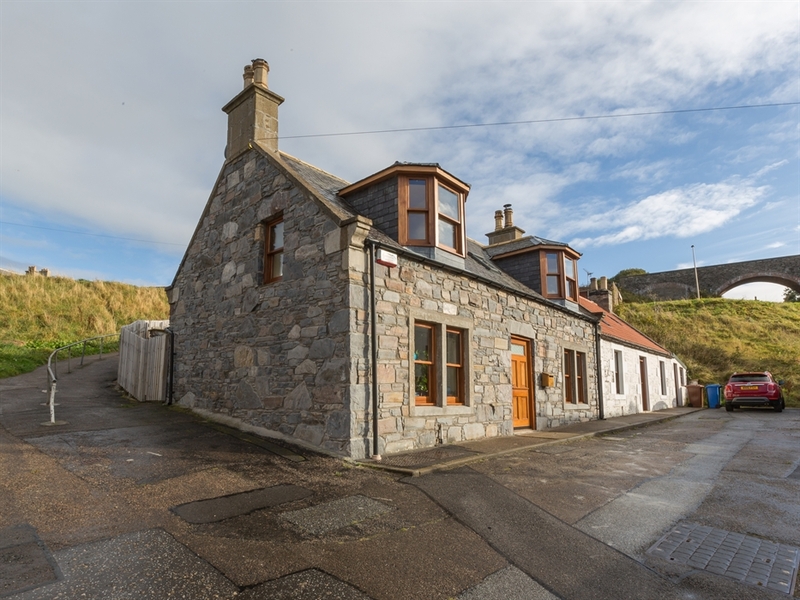 Cullen itself has very good local facilities and boasts a smart cafe and a famous ice cream shop, while just a short distance away is the Cullen Hotel which offers good food and great views from its elevated location. 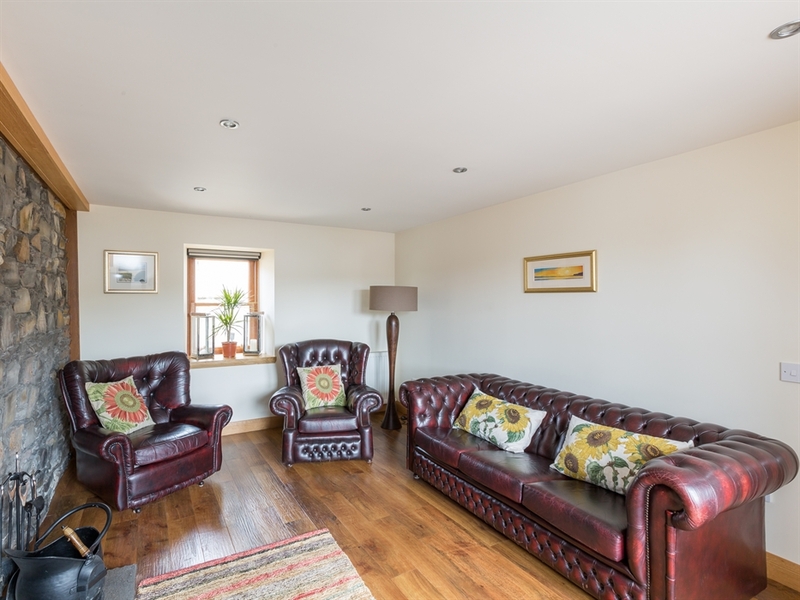 The sandy beach will be a favourite for all, and the historic ruins of Findlater Castle that sits 50ft high on the edge of a cliff are well worth a visit. 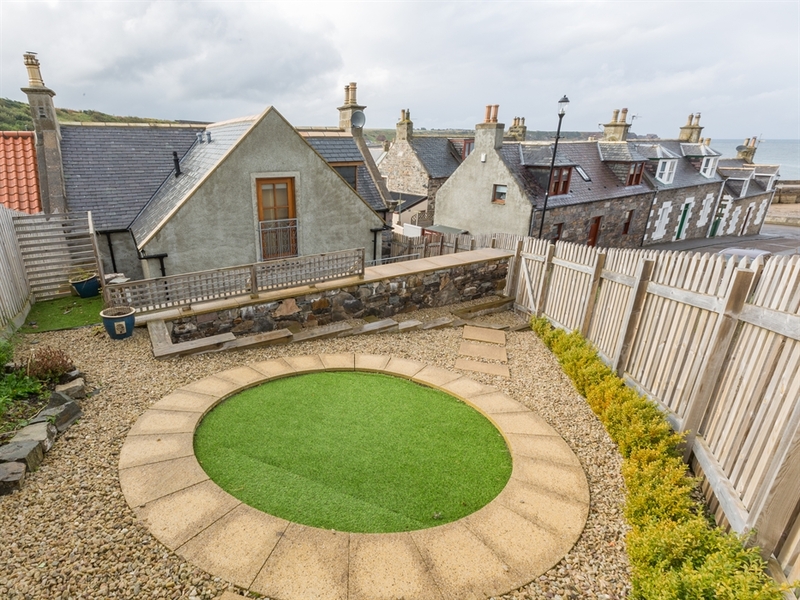 There is also a golf course where the first nine holes were created by the pioneering greenkeeper Old Tom Morris, known as the ‘Grandfather of Golf’. 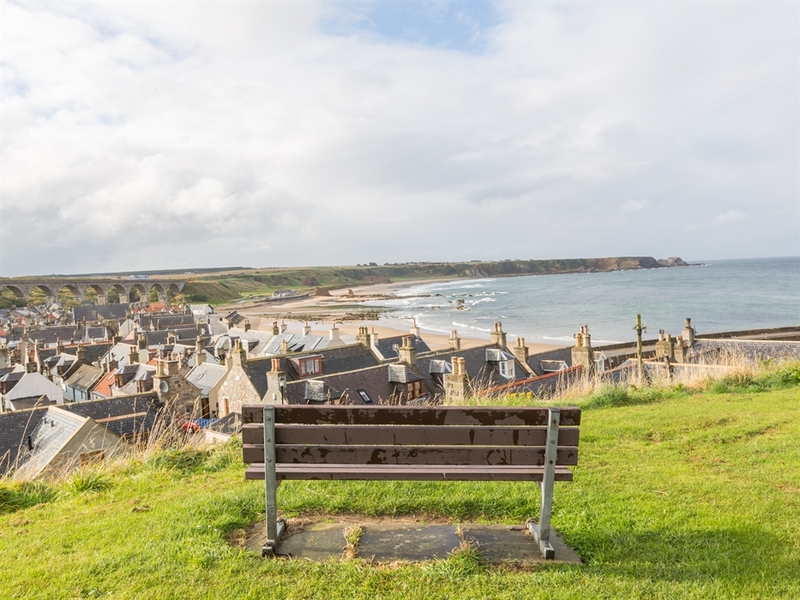 The renowned Speyside Scottish Whisky Trail and Castle Trails are both within easy reach by car from Cullen. 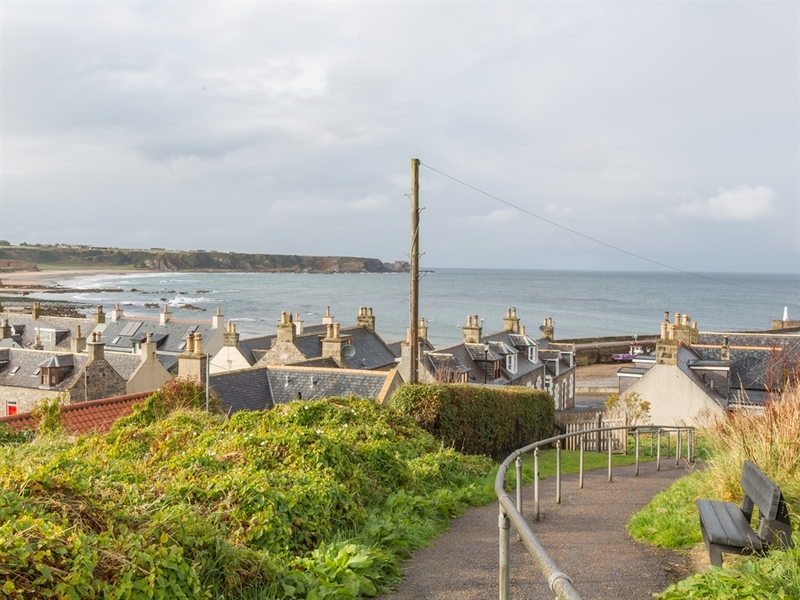 Locally there are many opportunities to walk or cycle on the many available trails along the coastline. 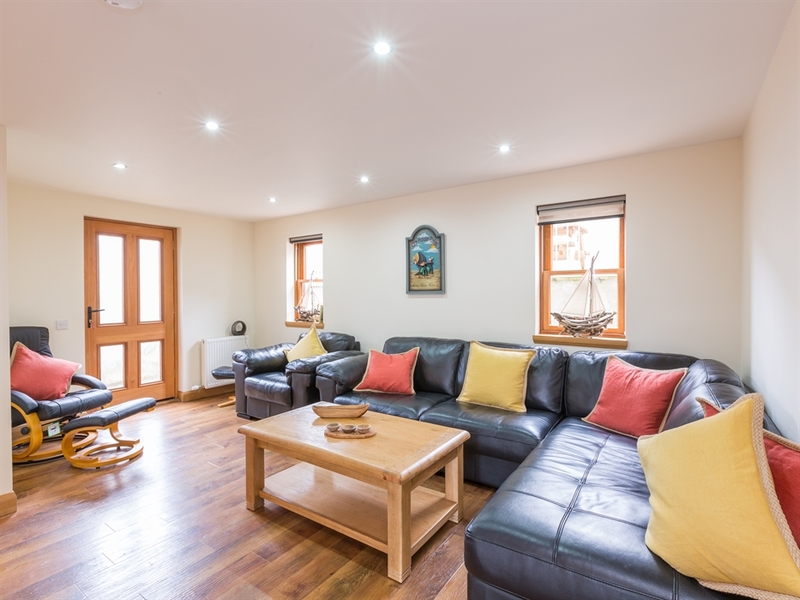 Further afield in Fochabers, the Scottish Dolphin Centre makes an interesting day out, and being less than a 2 hour drive from both Aberdeen and Inverness, you are well placed for spending a day exploring each of these fantastic cities.